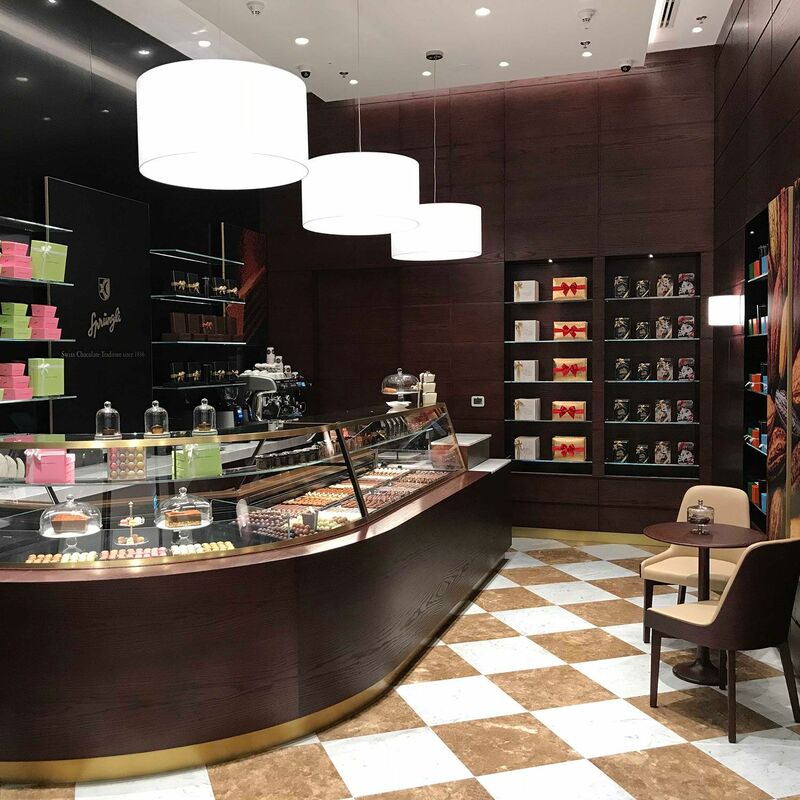 Luxury Swiss chocolate makers Sprüngli desired a bespoke interior design concept that would perfectly capture their exquisite identity for their venues in Dubai and Abu Dhabi. Colour palettes synergize with the product itself, whereby material finishes including the beautiful marble flooring elevate the venues representation of the brands elegant heritage. The interiors and design styling of the Sprungli venues are synonymous with the product in their representation of true quality and luxury. Therefore, it was of great importance to find an Interior Design firm that we could work alongside with to ensure this same standard was maintained. Not only the quality of the design had to match our requirements but also the mutual understanding of what we are looking for. With a small operation in the UAE it was important to have a design partner who came up with a pro active approach which is not easy to find. Bishop Design by Paul Bishop showcased not only an impressive portfolio consisting of high-end projects, which resulted in the start of our journey, but also did I feel the understanding of our needs. 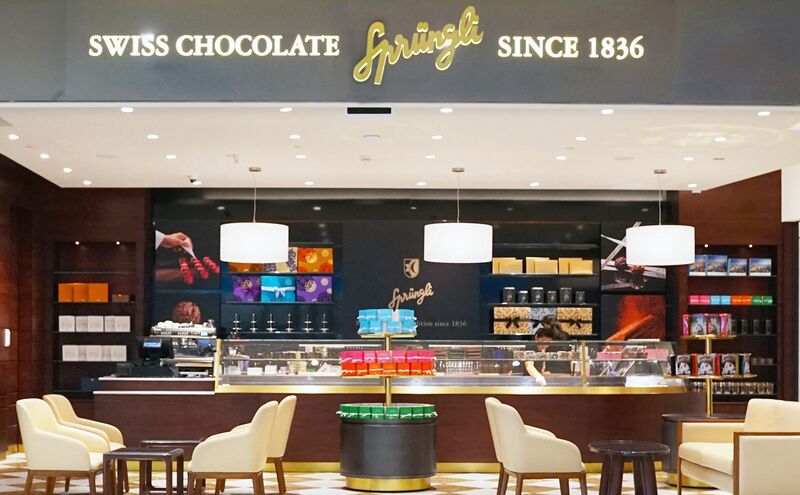 Sprungli Abu Dhabi, is now located at the Galleria Mall, where solid timber finishes harmonize beautifully with opulent leathers, resulting in the perfect setting for families and individuals alike to experience the luxury that Sprungli is renowned for. It was decided soon after to expand further within the region, along with Bishop Design as the dedicated Interior Design consultants. 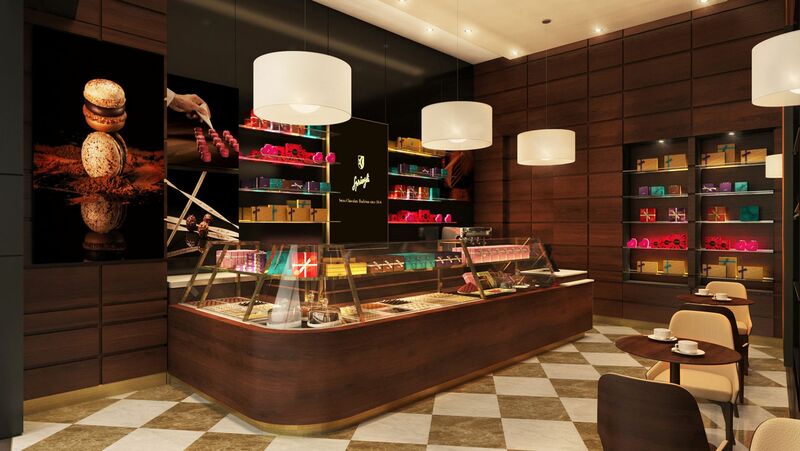 The venue was to be the first Swiss chocolate stall in Dubai Mall, so was expected to reach high expectations. 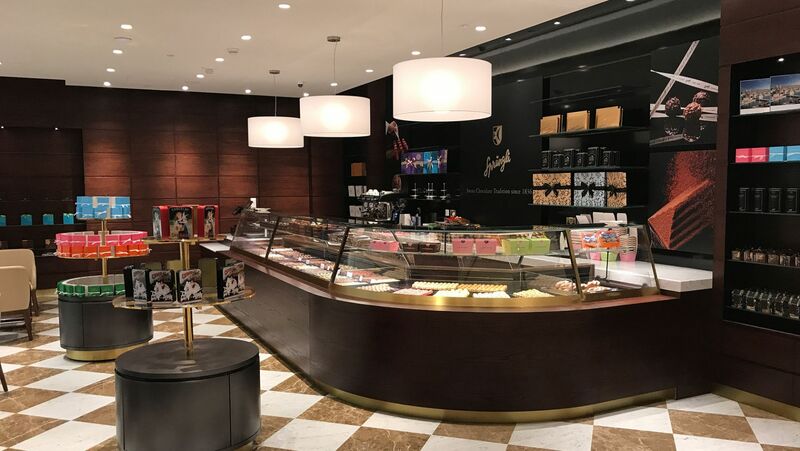 Bishop Design once again proved their professionalism, passion and skill, establishing an environment of pure elegance and refinement in which guests can now enjoy our Products.